ACT Seniors MyWay Cards which have not been used to travel on ACT buses for a period of two years or more, will have expired and should also be replaced. Please allow up to 7 days for new or replacement ACT Seniors MyWay card registration before applying for a NSW Gold Opal card. Application for a NSW Gold Opal card, can be made online: https://www.opal.com.au/en/about-opal/opal_for_senior_pensioners/, or by phoning 13 67 25. 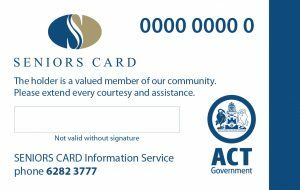 New and replacement ACT Seniors My Way Cards are available from COTA ACT Hughes office, ACT Libraries and Access Canberra Shopfronts as suggested on the application form. « Want to Know What the Political Parties Promised at the Last Election? ?